I’ve mentioned before that I have two process awareness reports in one of my first-year courses. One comes just after the monster “Library” prac, and one is right at the end of the course. These encourage the students to reflect on their assignment work and think about their software development process. I’ve just finished marking the final one and, as last year, it’s a predominantly positive and rewarding experience. When faced with 2-4 pages of text to produce, most of my students sit down and write several, fairly densely packed pages telling me about the things that they’ve discovered along the way: lessons learned, pit traps avoided and (interestingly) the holes that they did fall into. It’s rare that I get cynical replies and for this course, from over 100 responses, I think that I had about 5 disappointing ones. The disappointing ones included ones that posted about how I had to give them marks for something that was rubbish (uh, no I didn’t, read the assignment spec and the forum carefully), ones that were scrawled together in about a minute and said nothing, and the ones that were the outpourings of someone who wasn’t really happy with where they were, rather than something I could easily fix. Let’s move on from these. 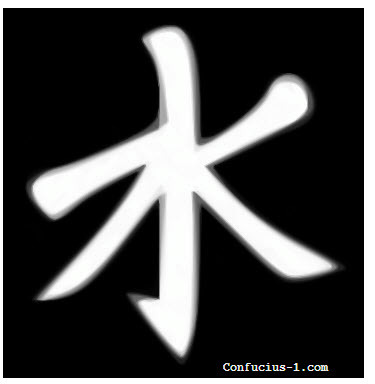 The Confucian Symbol. Something else to put in my lecture slides for Semester 2, 2012. The real payoff was towards the end of the assignment. Often it would be possible to “just type code” and earn at least half the marks fairly easily. However there was always a more complex final-­part to the assignment, one that I could not complete unless I approached it in a systematic, well thought out way. The assignments made it easy to see that a program of any real complexity would be nearly impossible to build without a well-­defined design. Three improvements that I am aiming to take on board for future subjects are: putting together a study timetable early on in the game; taking the time to read and understand the problem I’ve been given; and put enough time aside to produce a concise design which includes testing strategies. The exam for this course has just been held and we’re assembling the final marks for inspection on Friday, which will tell us how this new offering has gone. But, at this stage, I have an incredibly valuable resource of student feedback to draw on when I have to do any minor adjustments to make this course better for the next offering. From a load perspective, yes, having two essays in an otherwise computationally based course does put load on the lecturer/marker but I am very happy to pay that price. It’s such a good way to find out what my students are thinking and, from a personal perspective, be a little more confident that my co-teaching staff and I are making a positive change in these students’ lives. Better still, by sharing comments from cohort to cohort, we provide an authenticity to the advice that I would be hard pressed to achieve. I think that this course, the first one I’ve really designed from the ground up and I’m aware of how rare that opportunity is, is actually turning into something good. And that, unsurprisingly, makes me very happy.